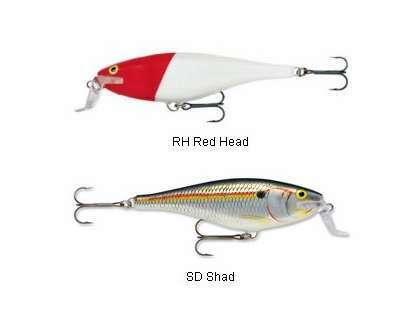 The Rapala Super Shad Rap Lures is rigged with heavy-duty hardware and hooks and constructed of premium Balsa wood. The same fish-catching action of the original Shad Rap in a super-sized presentation. 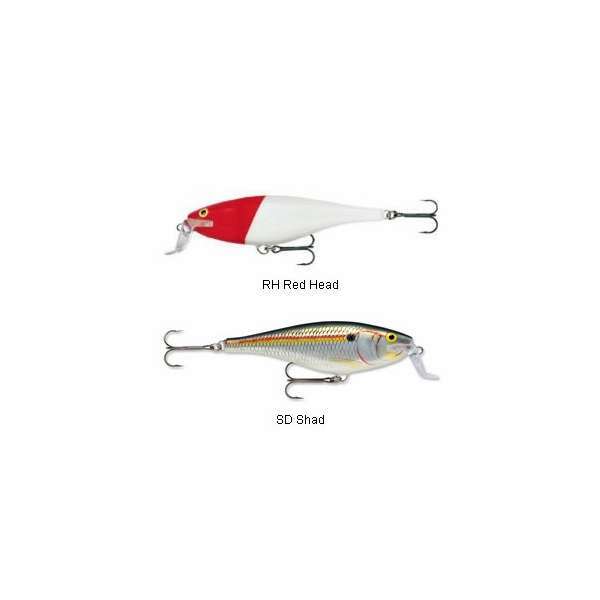 Deadly for northern pike and musky, it is equally effective when fishing for monster largemouth bass, striped bass, peacock bass, fat walleyes, nile perch and other monster freshwater species. Built to withstand the rigors and world class fights of saltwater species like tarpon, blue fish, tuna and kings. From the glacial lakes of Canada to the murky waters of the Amazon, the patterns and colors offer perfect imitations of the prey of predator fish. Natural swimming action at any speed. Stainless steel through wire construction, VMC black nickel hooks, each lure is hand-tuned and tank-tested to fish perfect right out of the box. it swims with wiggle motion also it darting..
Good action and it is always catching me fish! Love using the shad color one of these. It has gave me great success while fishing and definitely worth the money. Great to use around structure and vegetation. Also has done me well while using it in the morning. These are the only 2 colors available.